None of the 157 people on board a new Ethiopian Airlines plane that crashed on Sunday morning en route to Nairobi from Addis Ababa have survived, the airline said. The aircraft, a Boeing 737 MAX 8, took off at 08:38am (05:38 GMT) and lost contact with air traffic controllers six minutes later. It crashed near Bishoftu, southeast of the Ethiopian capital, killing all 149 passengers and eight crew members on board, Ethiopian Airlines said in a statement. It was not immediately clear what caused the crash of the plane, which had been delivered to the airline in November. According to Ethiopian Airlines’ CEO Tewolde Gebremariam, the pilot, who had been working for the carrier since 2010, sent out a distress call shortly after take-off and was given clearance to return. Tewolde, who visited the scene of the crash, also said that the “brand-new airplane” had flown 1,200 hours and had arrived from Johannesburg on Sunday morning. Ethiopian Airlines later published a photo on Twitter showing him standing in the wreckage, lifting what appeared to be a piece of the plane debris at the bottom of a large crater in an empty field. Little of the aircraft could be seen in the freshly-churned soil. The CEO “expresses his profound sympathy and condolences to the families and loved ones of passengers and crew who lost their lives in this tragic accident,” the post said. Ethiopian state media said more than 30 nationalities were on board flight ET 302. They included 32 Kenyans, 18 Canadians, nine Ethiopians, eight each from China, the United States and Italy; seven each from France and Britain; six from Egypt; four each from India and Slovakia, among others. Also on board was at least one staff member of the UN Environment Programme meeting in Nairobi from Monday for an annual assembly of 4,700 heads of state, ministers, business leaders, senior UN officials and civil society representatives. The head of the World Food Programme also wrote on Twitter that agency staff were among those on board. Ethiopian Airlines said it set up a committee with all stakeholders concerned to conduct forensic investigations and identify the victims. Among them is Edward Gathu, 39, who has been waiting to hear information about his 45-year-old brother, Benson, who was on the flight. “I feel very weak. I wish they can give me information so that I can accept and move on,” Gathu told Al Jazeera. The Boeing 737-8 MAX is the same type of plane as the Indonesian Lion Air jet that crashed last October, 13 minutes after the take-off from Jakarta, killing all 189 people on board. 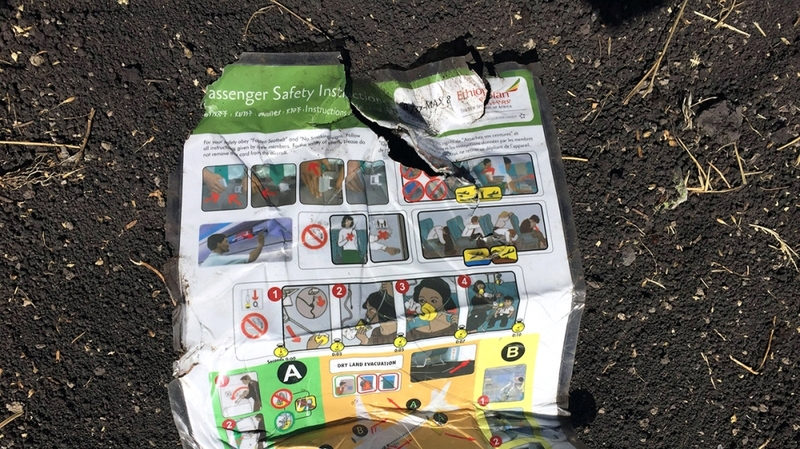 The last major accident involving an Ethiopian Airlines passenger plane was a Boeing 737-800 that exploded after taking off from Lebanon in 2010, killing 83 passengers and seven crew members. Kenya’s President Uhuru Kenyatta offered prayers for the family members and loved ones of those on the flight. “We are saddened by the news of an Ethiopian Airlines passenger aircraft that is reported to have crashed 6 minutes after takeoff en route to Kenya. My prayers go to all the families and associates of those on board,” Kenyatta said on Twitter. US aerospace giant Boeing said it was “deeply saddened” by the accident and would provide technical assistance to find out why its aircraft crashed. Kyle Bailey, an aviation analyst and pilot, said the pilot’s distress call signalled that the plane may have gone down due to a “controllability issue” than an explosion. “That may lead me to believe that the problem wasn’t imperatively serious,” he told Al Jazeera from New Jersey. “Typically in major disasters when crashes happen, when there are explosions, usually there is no communication from the pilots,” Bailey added. “The pilots are so focused on that catastrophic event, that they don’t have time to call air traffic control. Speaking to Al Jazeera from Malaga, Spain, aviation analyst Alex Macheras explained that the 737 MAX is the brand new updated version of the Boeing 737. “The MAX is in service all around the world. Airlines such as the Ethiopian Airlines are using this aircraft, as it is the latest, the most fuel-efficient, short-range Boeing aircraft on the market. Macheras said new aircraft “do have their hiccups” but that is not to say they are unsafe or more prone to being involved in accidents. “There are certain advisories for lots of new aircraft and that’s perfectly normal as they enter the market place,” he added. The Boeing 737 MAX was initiated in response to Airbus’s A320 Neo. Both planes feature modifications to make the aircraft more fuel-efficient.